SOI PATTAYALAND in Pattaya - is a group of soi which are gay bars, like a boystown. These are packed with gay clubs, saunas, gay hotels, and a variety of queens, tops, moneyboys, mingle with tourists, locals, you name it! It is a small gay Las Vegas inside of the larger Las Vegas that Pattaya is! 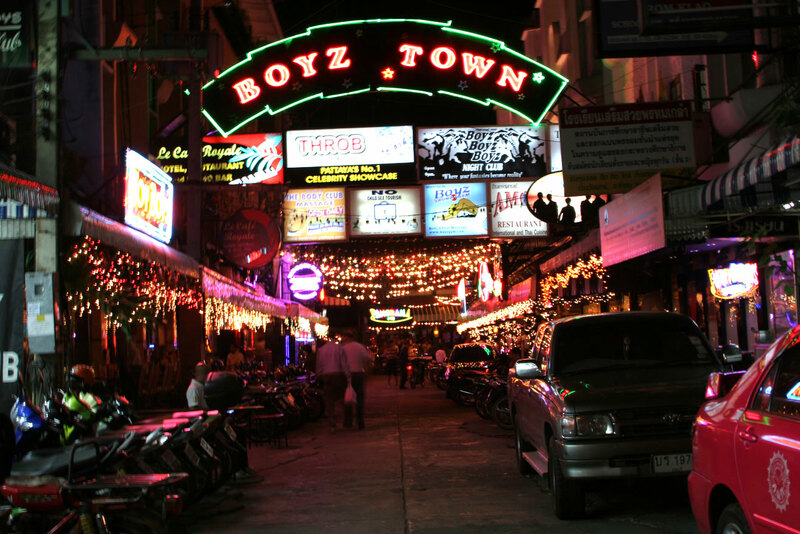 Soi Pattayaland is not as corrupt feeling like those gay soi in Bangkok, and a bit more playful than "Soi Cowboy" which is for straight guys. If you are a male you will be beckoned and grabbed by the arm by a hunky guy who will try to take you into a show or buy a drink. It is a very playful atmosphere and, if it is your first time to experience this, you will feel so attractive and like a star. It is fun at times to feel the attention but annoying after a while. If you enjoy that kind of atmosphere and like to see playful gay guys - it is an experience to talk about! The dance clubs are great fun. Lots of handsome guys everywhere, the music is great, and afterwards there are drag shows which are entertaining. 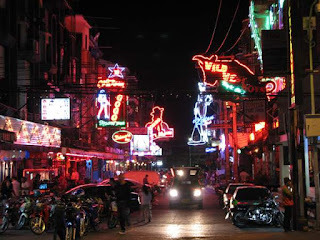 I stayed in a gay hotel in Soi Pattayaland, which was modest and clean. It was not over the top in any way, and I suppose, a convenient place for guys to hook up for the night. There is a safety option for overnight visitors spending the night with the hotel guest. The overnight visitor must hand his ID to the front desk overnight. When the overnight visitor tries to leave the hotel, the front desk calls the hotel guest's room asking if everything is ok as your overnight guest is leaving. It is reassuring as, sadly, some overnight guests become thieves or finishing the night in a bad way. Most of the signs are changing from English into Russian, and the menus in English have disappeared, and Russian is the new language of choice.